Digital Marketing, Android and UI Developer. We are working since long time and all the team members are highly skilled. We offer multiple program like User Interface Development Front-end development Application development website development SEO Digital Marketing. E-commerce marketing. and many more technologies. 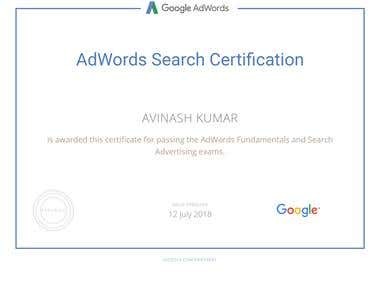 I have a certification in google AdWords and good experience in google advertising and marketing. Also have experience in social media campaigning and marketing. I have experience in google adwords and facebook advertising.